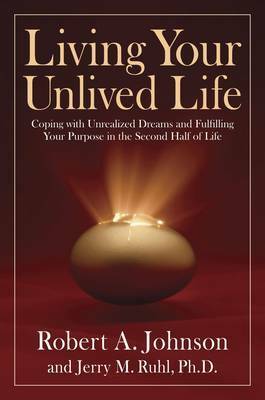 In LIVING YOUR UNLIVED LIFE, the renowned therapist ,Robert A. Johnson, writing with longtime collaborator and fellow Jungian psychologist Jerry M. Ruhl, offers a simple but transformative premise: Our abandoned, unrealised or underdeveloped talents, when they are not fully integrated into our lives, can become profoundly troublesome in midlife, leading us to depression, suddenly hating our spouses, our jobs or even our lives. When our unlived lives are brought to consciousness, however, they can become the fuel that can propel us beyond our limitations - even if our outer circumstances cannot always be visibly altered. Robert A. Johnson is a noted lecturer and Jungian analyst. He is the author of Ecstasy: Understanding the Psychology of Joy.